My in-laws live on the northern beaches of Cairns, so we visit there regularly. Now, it’s lovely there and everything, but there’s always been a distinct lack of breweries. Until now. The in-laws had often mentioned that an old friend of theirs “Terry” was also a homebrewer. A couple of times off-handedly suggesting that we should get together sometime. But just before my last visit I spotted a Terry on Facebook stirring a mash in a new local brewery. I made some enquiries immediately! Within a day, my mother-in-law had got in touch with Terry, and Terry had invited me to a brew day. So, a brew day/play date had been lined up, complete with father-in-law dropping me off, and mother-in-law picking me up. Living the dream. I arrived at 9am and the brewers were just coming to the end of their first mash of two planned for the day. They introduced themselves as Rob and Terry, and within minutes we were chatting about the finer points of water chemistry etc. It turns out that Terry is a very keen home brewer in the same vein as many of us. He likes to brew crisp sessionable lagers, and brews on a full 3 vessel set up he made from kegs which he welded himself. Terry also has some serious bling at home including a conical fermenter. 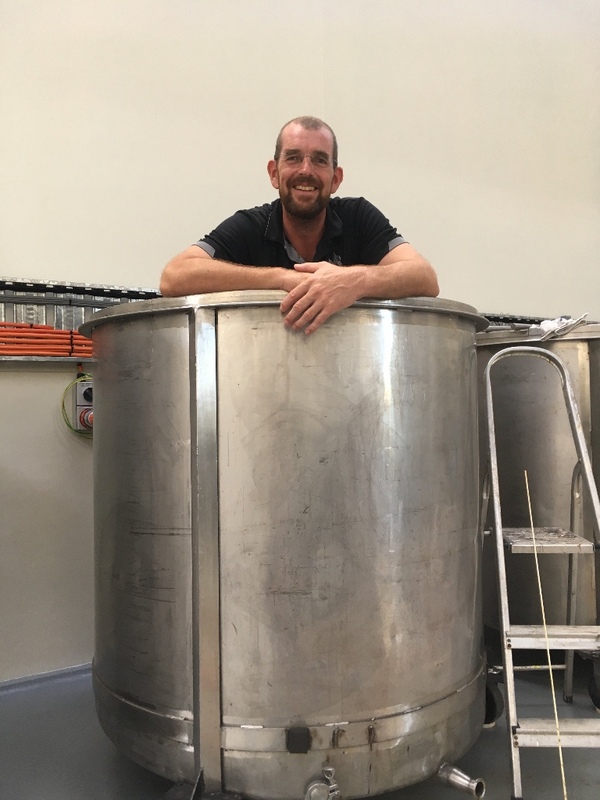 Rob is the brewer, owner, and founder of Macalister Brewing Company, a great brewery and bar nestled in the sugar cane fields in Smithfield just north of Cairns. Brew day involved mashing in a 1000L vessel, running off to a second vessel for the boil, then a generous whirlpool hop addition in a third vessel before finally sending the wort to the chiller and fermenter. This was all done twice, with the first brew dovetailing nicely into the first to shorten the brew day. 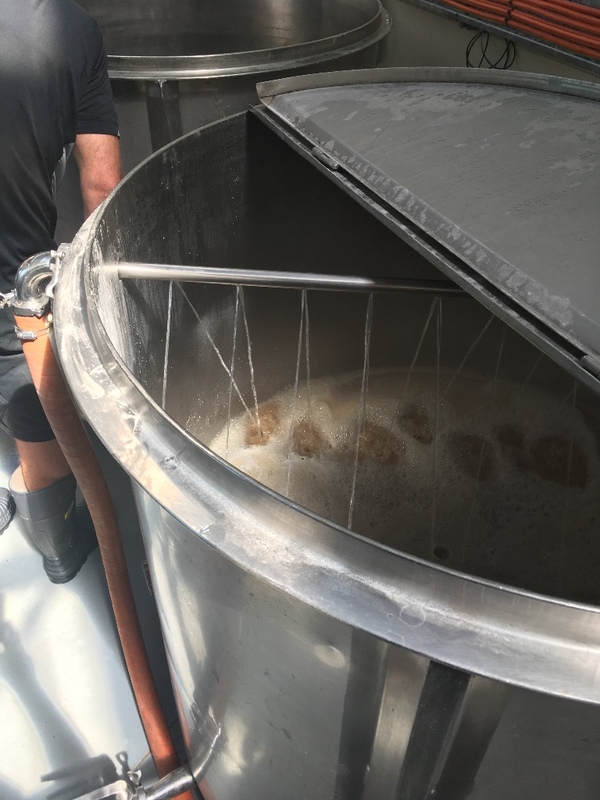 The brewery was very manual by modern standards, but Rob and Terry have streamlined their process to be extremely efficient, and totally reproducible. Rob likes to maintain a homebrew attitude at Macalister, and brews only one day a week so he never gets bored with brewing. This also gives hime time for all of the other tasks required of running a business, of which there are plenty. 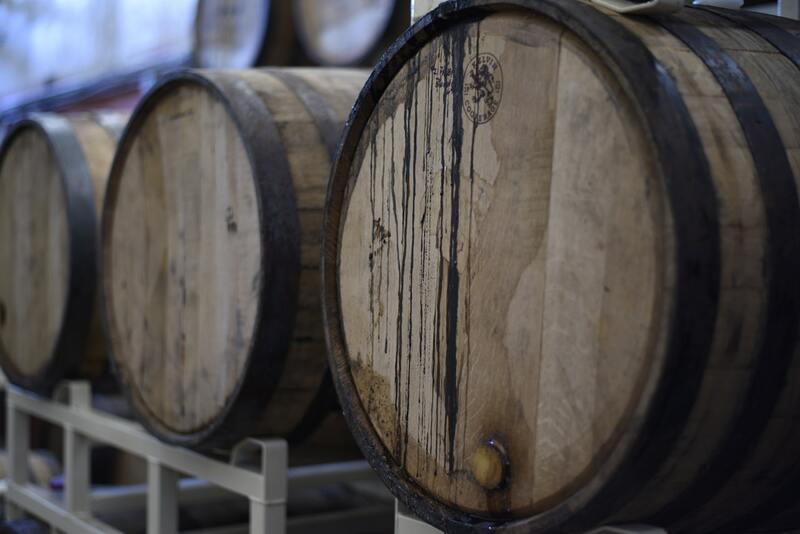 The brewery was built by Rob, with the 1000L vessels coming from a dairy, and the fermenters from a winery. Rob and Terry, who are both handy with a welder, wanted something that they could fix themselves if anything went wrong. That’s not to say that they are not open to improvements as they will soon be taking delivery of a high tech keg filler, as well two 3000L conical fermenters. This will help increase output while reducing labour, and will look great in the brewery. Once we got the second batch on the boil, we sat down for a few beers. Terry produced some home-brewed longnecks of what turned out to be immaculately brewed, tasty, and crystal clear pilsners. Terry and Rob often workshop beers on a homebrew scale, before introducing them to the tap-list. These Pilsners were research for a lighter strength lager that they wanted to introduce at Macalisters. I had several and they were great, exhibiting all of the classic hallmarks of the style. Tough job, but someone had to do it. 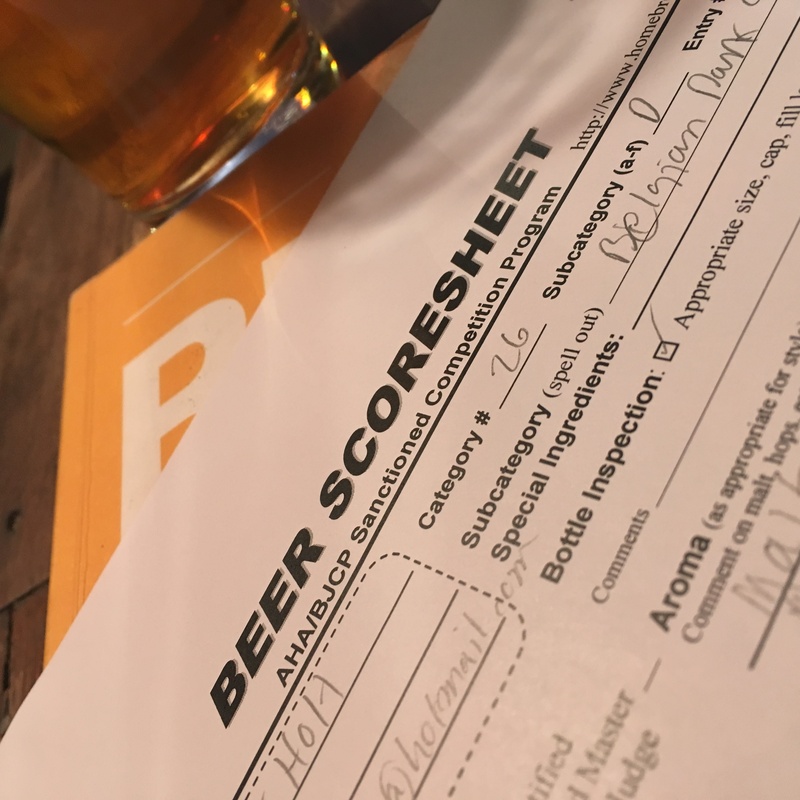 It turns out we were brewing two batches of “Latitute” Pale Ale, a wheat beer hopped with Citra, and Macalister’s most popular beer. 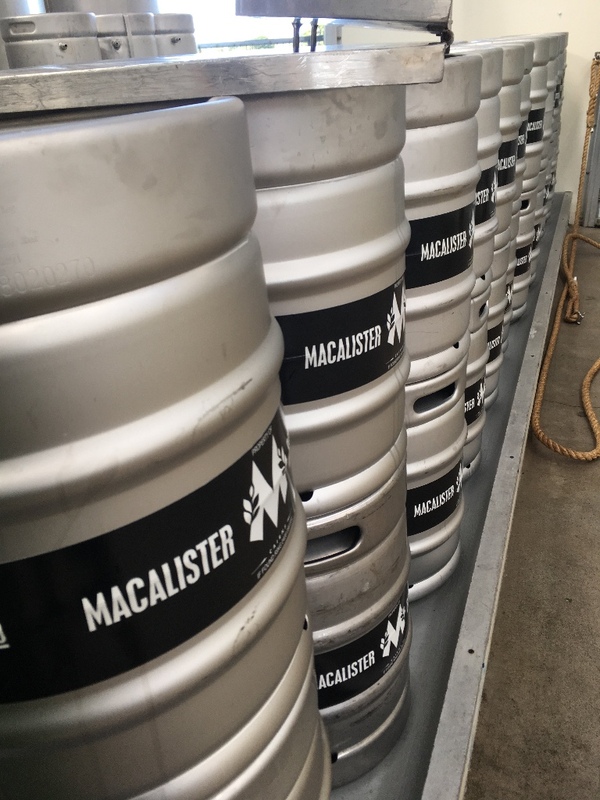 When the brewery opened, sales projections were just a few kegs a week for the first two years, but only just into their second year, Macalister’s customers get through 12 Kegs of the Latitude per week alone! 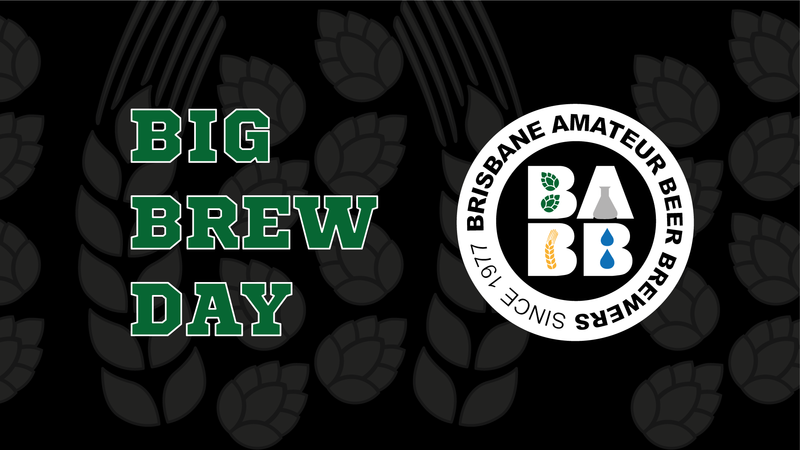 Most of the kegs brewed at the brewery are tapped at the brewery, but a few select venues around Cairns also have their beers on tap. Rob says he never set out to promote “craft” beer as such. He simply wanted to share a good quality, fresh, and local product. The brewery has become a social hub, regularly hosting food trucks, local music, and even science talks. Many of Rob’s customers say things along the lines of “your beers are too good, I can’t go anywhere else now!”. 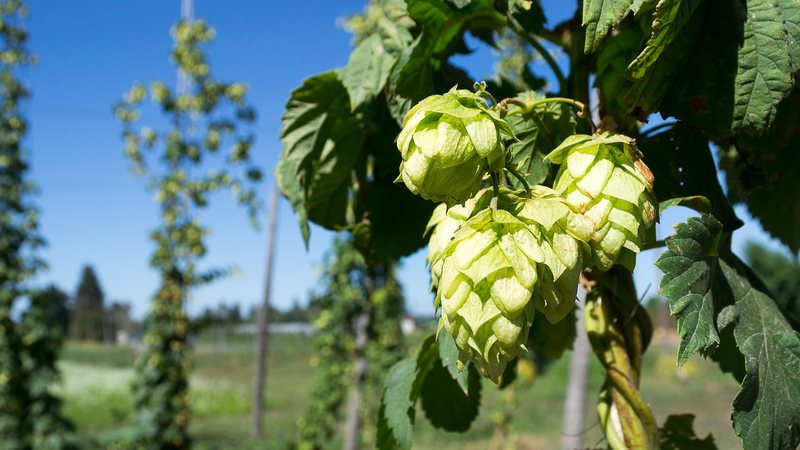 The locals have been turned into craft beer nerds, without them even realising. A huge thanks to Rob and Terry for having me along for the brew day, I had a great time and hope to visit again soon. 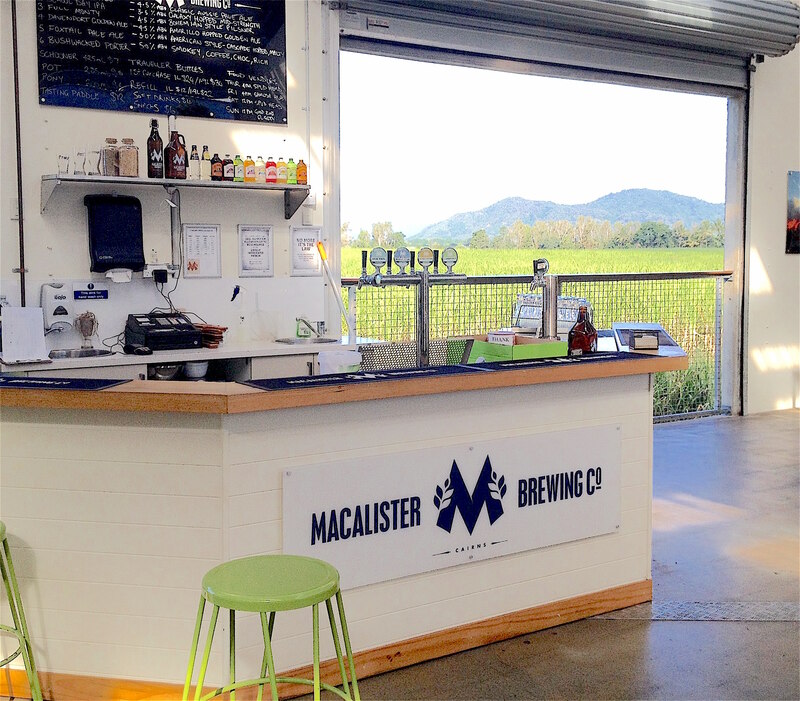 If you visit the Cairns area, you can find Macalister Brewing at Unit 3, 6 Danbulan St, Smithfield. They are open from Midday Wednesday to Sunday. 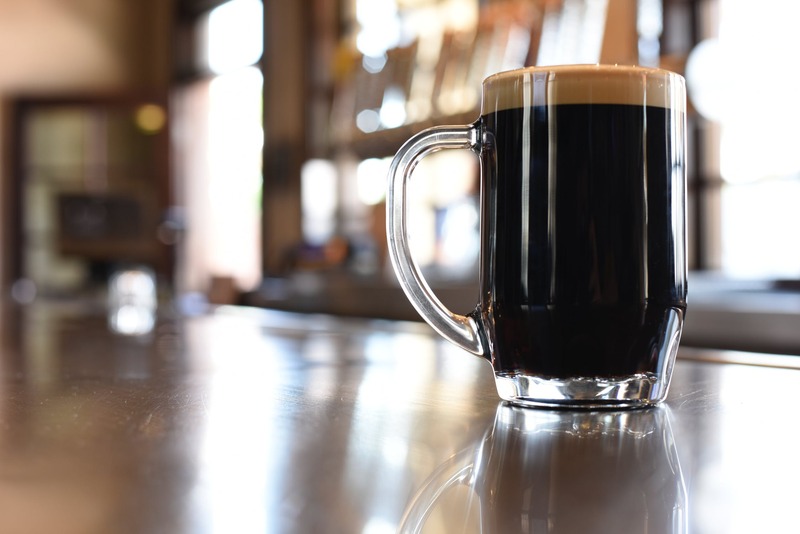 There’s always a nice range of great beers, a relaxed atmosphere, and the view is excellent.